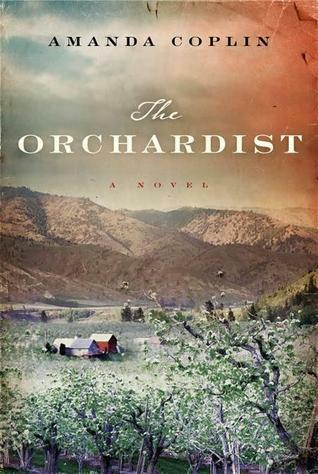 Set in central Washington near the turn of the twentieth century, The Orchardist explores the definition of family and the extremes of human depravity and compassion. William Talmadge has cultivated his apple and apricot orchards for decades. After becoming an orphan as a young boy, and then losing his only sister under mysterious circumstances, he has spent close to fifty years alone on his land with only occasional interactions with neighbors, including a local midwife, Caroline, who helped care for his mother before her death. One day two starving, almost feral, teenage girls steal fruit from his stand at the weekly market. He declines to chase them down and they later show up on his property. Slowly, miraculously (given what they've been through) he gains their trust and learns their story. Jane and Della are both pregnant and recently escaped from a brothel run by a man named Michaelson, a violent opium addict. Still mourning for his sister, who disappeared when she was the same age as these girls, William offers them a place of relative safety and peace, a shack in the orchard, and provides them with food, bedding, and a quiet companionship that doesn't demand or pry. When the girls go into labor at the same time a few weeks later, William helps Caroline deliver the babies. Jane's baby girl lives; Della's does not. As they deal with this additional sadness, they settle into a new normal until Michaelson shows up to reclaim the girls and tragedy ensues. When William chooses to open his heart and his home to these two lost girls, he changes their lives and his own as well. In some ways, the girls' presence and then absence dredges up painful memories from his past of losing his sister: "The only thing worse, perhaps, than knowing for certain that she was abducted was not knowing. That was the sad truth. And Talmadge lived in that uncertainty, he had made his home in it, and there was no possibility of him resting--truly resting--ever again." At the same time, he feels a fatherly care for the girls without the advantage of any fatherly experience and stumbles his way through trying to help them heal from their traumatic childhood and move forward. Della discovers her ability to ride and break horses and with that, "transform[s] herself from someone powerless to someone powerful," leaving the orchard to join a group of men who hunt wild horses to train and sell. William worries about her, though Caroline tries to remind him that "She doesn't belong to you...You cared for her for a while, she said. That's all you can do, Talmadge." Jane's daughter, Angelene, becomes the focus of William's care and grows up loved and showered with affection, only dimly aware of her roots. William, Caroline, and Angelene form a familial bond of care and concern just as valid as any formed by blood, while the trauma Della experienced by stunts her ability to recognize and create those bonds, despite having people who care about her and want to help her. In a moment of realization, an aging Caroline at odds with her earlier self declares, "We do not belong to ourselves alone." As Della notes early on, William "had one of those complicated faces that one had to consider at length to understand how emotion lay on it, to understand it at all. It was like a landscape: that wide and complicated, many-layered expanse. She wanted to study his face: because it was different in an important way, but she did not know, exactly, how." Although Della is understandably wary of people in general and men in particular, she is drawn to William and his different face, following him at a distance as he works in his orchard. William's "difference" is at the heart of the story. His compassion and kindness, his willingness to put himself in harm's way to protect and help the girls, are in stark contrast to the evil abuse they suffered under Michaelson and the morbid, dehumanizing curiosity of the townspeople. Ms. Coplin's writing is beautifully evocative. Though it may occasionally border on plodding, there are also moments of intense and frantic action, such as when Jane and Della deliver their babies, that I had to reread several times to follow what happened. The descriptions, particularly of the landscape and orchard, are stunningly simple and striking, and the setting becomes as much a character in the story as any of the humans are. Ultimately a hopeful book, though only after passing through some arduous and fatalistic turns, The Orchardist tells of the effect we can have on others and the effect that loving others can have on us.